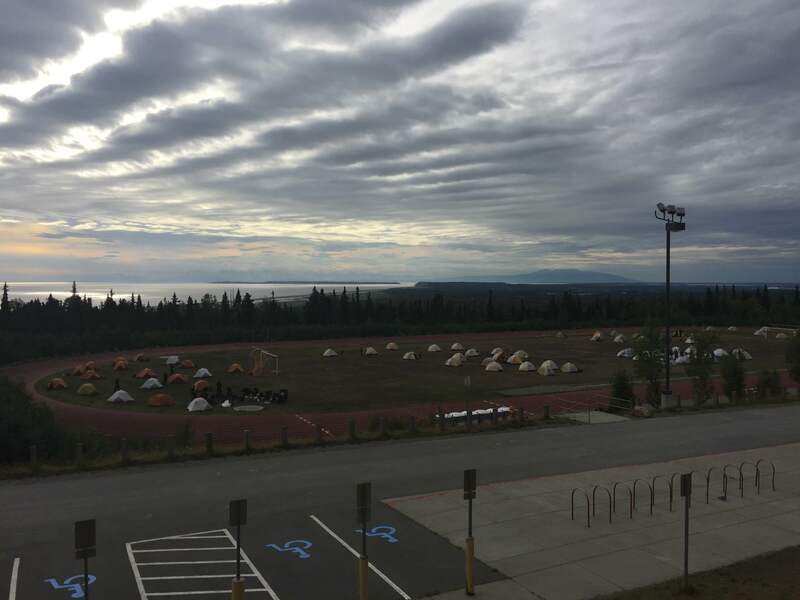 ANCHORAGE – The firefighting effort on the McHugh Fire is getting a boost today from fresh crews, milder temperatures, and light rain. An additional 120 firefighters are assigned to the fire as well as additional support personnel. The 842-acre fire is burning in Chugach State Park, just south of Anchorage, and is 5 percent contained. A shift in the wind is bringing smoke into Anchorage and an air quality advisory is in effect. Those with respiratory issues are advised to avoid outdoor activities and physical exertion. The Anchorage Fire Department has suspended all burn permits. The Temporary Flight Restriction over the fire area has been updated and expanded. Pilots are urged to avoid the area. Helicopters fighting the fire are based out of the Campbell Tract and Indian. Residents in those areas can expect an increase in helicopter traffic. Crews are continuing work today to protect homes in the Rainbow and Potter Valley subdivisions. Rainbow Valley is about one mile east of the fire, while Potter Valley is about a mile west of the fire. Both the north-bound and south-bound lanes of the Seward Highway remain open. However, turnouts along the highway between McHugh Creek and Rainbow are closed. While the rain can help to ease the fire danger somewhat, the rain has loosened rocks and debris is falling onto the highway below. The Alaska Department of Transportation is working to keep the highway clear of debris. As a result, motorists are urged to use caution driving through the area and should not slow down or stop to watch the fire. The Alaska Railroad also remains open. The railroad is running pilot cars ahead of trains to scan the tracks for fire debris that may fall from the steep slopes above. The Alaska Interagency Incident Management Team will hold another community meeting Friday night at 7 p.m. at South Anchorage High School.